It’s getting very late but I promised a cake tonight, so a cake I will deliver (although I sure wish I had gotten it posted earlier)! 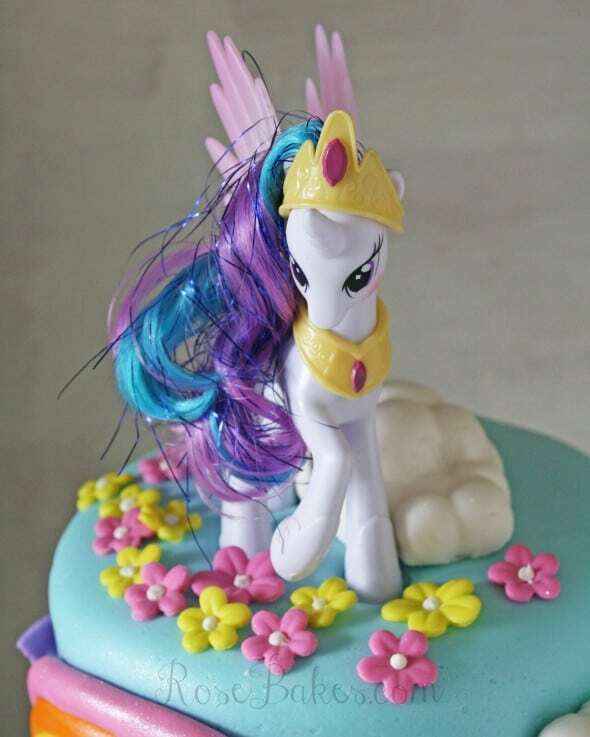 But it is what it is… and the cake I’m sharing is… a My Little Pony Cake with Princess Celestia. My Little Pony was popular when I was a little girl and I really loved those little ponies, then it seemed to fade away… but now the toys are popular again and I’m just loving it! For this cake, I really wanted to capture the spirit of My Little Pony… so I had to have the colors, the rainbow… and of course, the glitter (I used Silver Disco Dust (edible glitter)!). Becky told me three of her daughter’s favorite ponies and I chose one…. Princess Celestia as a topper. It would’ve been a fun challenge to try and make the pony, but honestly I was so busy already that week that I decided from the start to just use a real toy. I had her standing in front of a cloud and I used my gum paste flowers punch to make the tiny flowers around her feet. The centers were piped royal icing. The name was done with my favorite funky alphabet cutters and as I’ve done many times before, I laid the letters on thin rolled out fondant and cut out the backing with an Xacto knife. 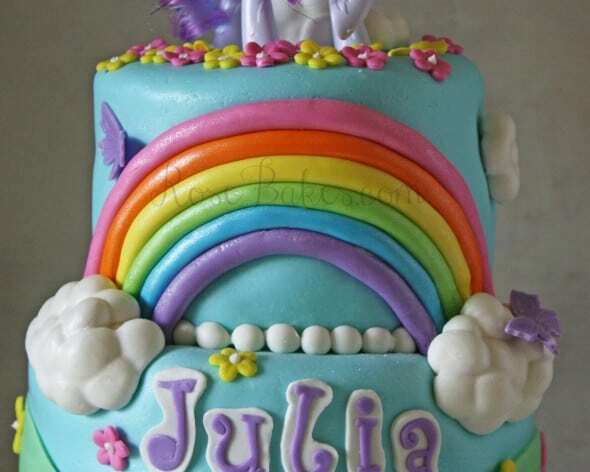 For the rainbow, I simply rolled out ropes of fondant and used sugar glue to attach them to the cake. And the clouds… I used the tutorial from Royal Bakery to make those! Oh and the border was done with the First Impressions Pearl Mold… love those molds!! The cake was white cake with vanilla buttercream. It was covered and decorated with homemade marshmallow fondant. And that’s it! Do you have any questions about this My Little Pony Cake? Leave me a comment and I’ll answer and help out if I can! 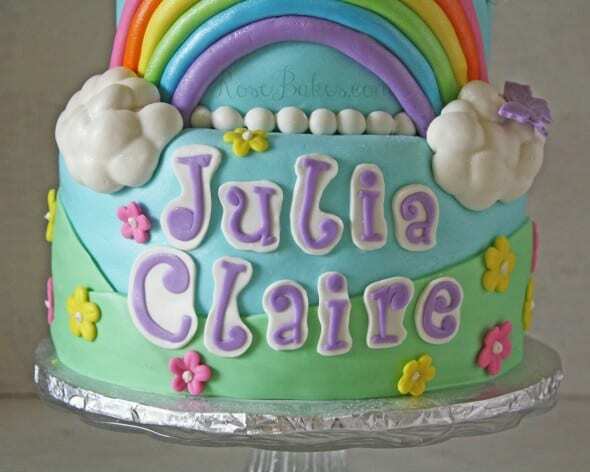 This cake is beautiful and I want to surprise my daughter with something similar for her birthday. I wondered if you could give me any detail regarding sizing and proportions – do you know what the diameter of each of the 2 cakes is? Also what size is the pony?? Thanks so much – I can only hope my attempt will be half as amazing as this one! This cake had 6″ and 8″ round tiers, each around 4″ tall. The pony was a “regular” sized pony, I guess. I’ve never bought another one. No, sorry, I’m in Mississippi. Beautiful cake! 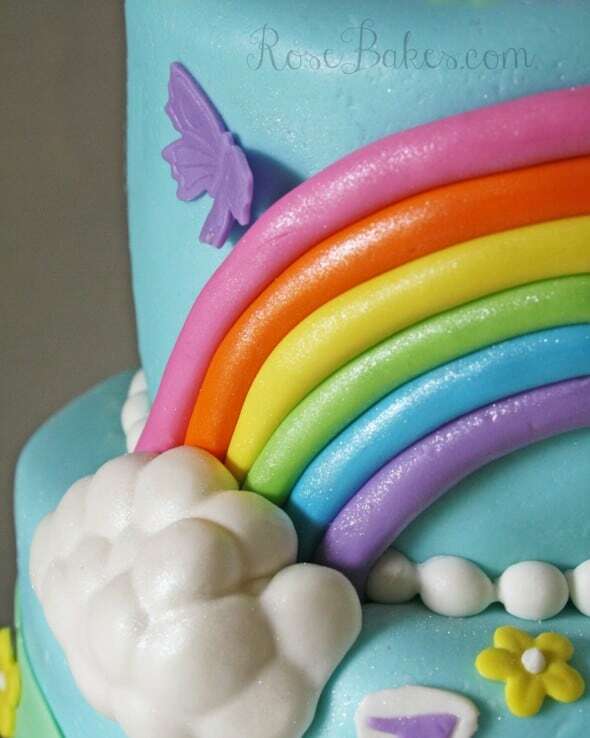 Did you use store bought fondant for the rainbow ropes or did you use your homemade marshmallow fondant & color them individually? Thanks! I colored my homemade marshmallow fondant. My name is Samantha Marie. I am 14 years old and I am a HUGE FAN of my little pony. 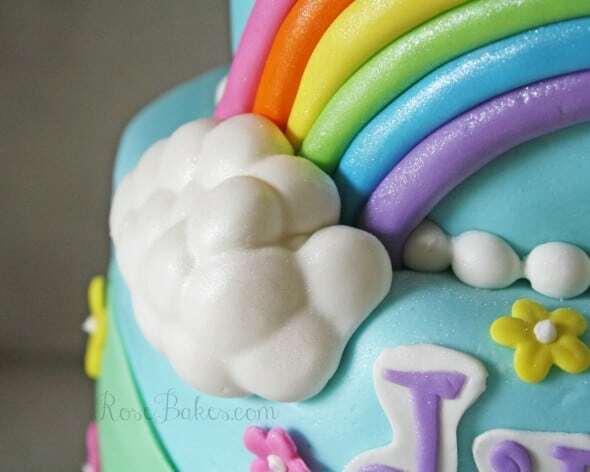 For my 15th birthday I would like a cake similar to this one but I like RAINBOW DASH, rarity, and princess celestia. When I saw this cake on Pinterest I was like screaming to my mom I’m the car!!! Will u give the price please. I know you’ve probly never done this cake for a older girl but I am one of a kind 🙂 please do take my cake in consideration. These are both my phone and my iPod which I have on me at all times on the weekend and during the work week ( Monday- Friday) I have my phone on me. I’m sorry Samantha, but unless you’re local to me (near Meadville, MS), I can’t do a cake for you. I can’t ship or deliver outside my town. I’m a cake hobbyist. 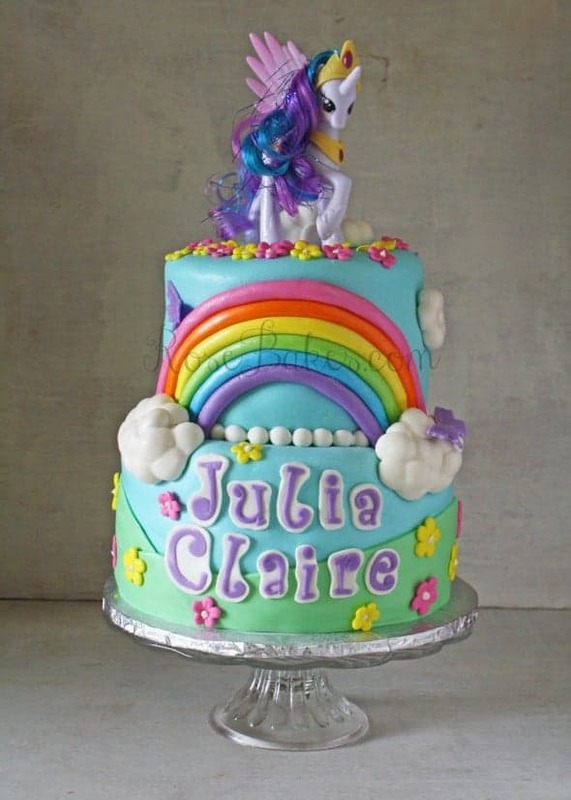 And I’m thinking of making a Little Pony cake for my daughter’s 3rd birthday next month. I really fell in love with your cake! It’s gorgeous! Will you be able to let me know how many days ahead do you start making the decorations? Is 3 weeks in advance enough to come up with all the decorations for this cake? How many days ahead do you start putting the cake together? 2-3 days before the actual birthday celebration? Hi Ann, the only thing I did ahead for this cake is bake the cakes and make the fondant. I always make my fondant 3-4 days ahead and then I bake the day before, cool them, fill and frost and chill them. Then the day I plan to finish the cake, I cover it with fondant. I decorated the cake in about 5 hours and delivered to my client to serve the next day. 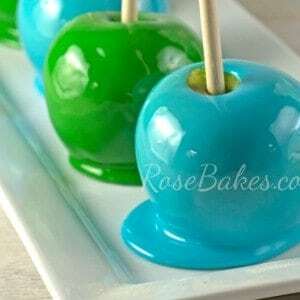 However, you could go ahead and divide and color the fondant ahead of time, make the flowers and letters and clouds ahead.. and the pearl border … then just keep them in an airtight container in the frig until you’re ready to use. Thank you so much Rose! I love your blog! Hello! Your cake is amazing. I am not a fan of butter cream Icing. So i was wondering if you think i would be able to use whipped icing under the marshmallow fondant instead. Thanks so much! I’m sorry, I don’t have any experience with whipped icing. I imagine that it would deflate under the weight of the fondant, but I’d just encourage you to try it out and see! I was wondering where you got the toy on top ?? what would you charge for a cake like this for 30-40 people? 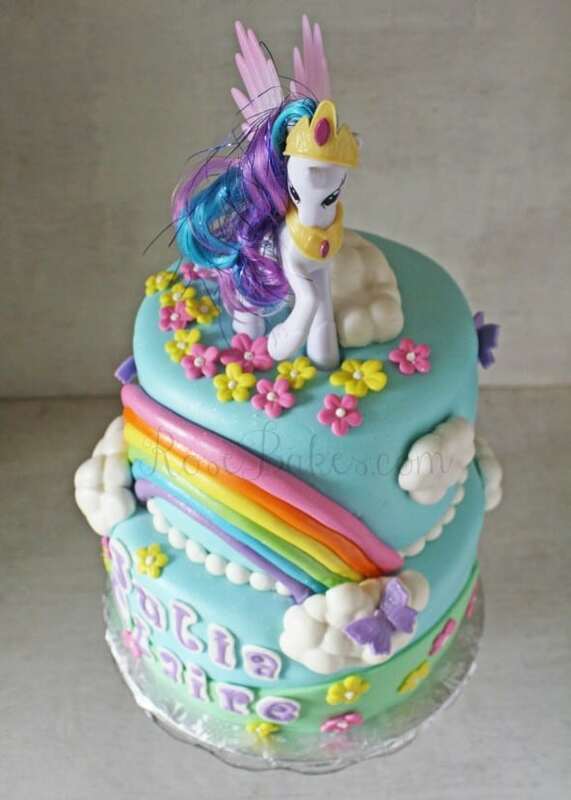 Hi I was wondering how much you would charge for such a lovely cake, my daughters birthday is coming up and she’s a my little pony furnatic. your cake looks stunning… just love the colour tones. would love to know how you made the clouds, i followed your link but couldnt find it. thanks..
It’s a tutorial by Lesley Wright of Royal Bakery – maybe google it? Only that I wish I could have it in Memphis, Tennessee by Wednesday for my granddaughter’s 6th birthday to go with her celestia castle!! !